The benefits of a reliable Staclean baghouse go straight to the bottom line. 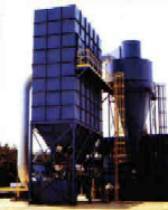 A Staclean Pulse Jet Baghouse Dust Collector will reduce your operating costs. This high quality collector will lower pressure drop, promote longer bag life and greater air volume, reduce leaks, downtime and labor costs as well as the amount of compressed air needed. 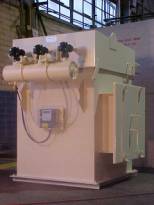 A Staclean Pulse Jet Baghouse Dust Collector will give you greater operating flexibility. 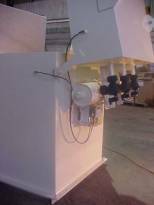 Our design allows quick response to changes in operating conditions, variations in production needs, and human error. 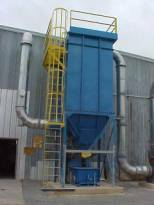 A Staclean Pulse Jet Baghouse Dust Collector is purchased directly from the manufacturer. No one stands between you and the manufacturer. Your ideas, questions, or special needs are addressed directly to the people who design and fabricate your equipment and have the experience, knowledge and skill to take action. You save time and money. 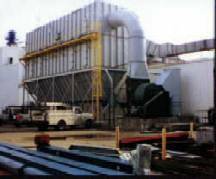 A Staclean Pulse Jet Baghouse Dust Collector is backed by outstanding service. We realize that our best recommendation is a satisfied customer. This means providing a quality product supported by quality service year after year. 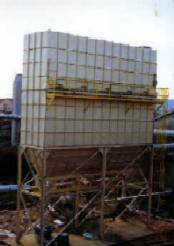 Talking with customers about Staclean Diffusers gave us a wealth of experience in troubleshooting baghouse operations in a variety of industrial settings. We learned what makes baghouses run smoothly and efficiently, and what makes them easy to maintain. The logical next step was to design and fabricate, The Reliable Baghouse. The Staclean Pulse-Jet Collector offers advanced design features to lower operating costs, facilitate maintenance, improve performance and increase the useful life of the collector. Staclean Diffusers enhance every pulse cleaning cycle. The resulting cleaner bags reduce pressure drop, pulse frequency and energy consumption, and increase bag life. Heavy-duty, solid welded construction provides increased durability. Easy maintenance is more likely to be done, and done correctly, Our baghouses use Snapband bags. Installing filter bags and getting the required seal is a snap! No hose clamps or folded bags. Just snap the bags into the tubesheet holes. Bags are changed from the clean side of the tubesheet. No dirty overhead work in the dark. The clean side is unobstructed. This smooth surface is easily swept or vacuumed. Keeps Air Velocity Low. The large Staclean inlet slows incoming air and allows heavier particles to fall directly into the hopper without coming in contact with the filter bags. Staclean's standard wide bag spacing (3" x 4.5") is much wider than others in the industry. Lower air velocity between the bags means particulates are more easily pulsed off the bag and into the hopper, allowing pulsed particulates to reach the hopper discharge instead of continuing to circulate in the air stream. There is no bridging between bags. Custom features are readily available. Sized to fit your needs Staclean constructs collectors from 500 CFM to 100,000 CFM. We can design for the most demanding environments, plus we can fit your existing space and go through your doors.